The 1977 model year was a very exciting time for Mooney Aircraft Corporation and the general aviation market place. Mooney accomplished a feat that was rare in general aviation. They introduced the Mooney 201 (M20J), a modified version of the Mooney M20F Executive, which was about 20 mph faster than the M20F without an increase in engine horsepower. The cowl and induction system modification was the largest contributor to the speed increase on the Mooney 201 (about 8 mph). According to the August 1976 issue of Flying Magazine, the cowl modification improved perform- ance by reducing cooling drag around the engine. The cowl opening around the spinner of the M20F was reduced by over 70% from about 274 square inches to 76.6 square inches on the M20J. You can now enjoy many of these M20J benefits by installing the Aero Resources, Inc. (ARI) FAA/PMA approved and certified nose cowl mod on your Pre-201 Mooney (see the Before and After pictures below). The ARI nose cowl mod reduces cooling drag without the need to replace or modify your existing sturdy metal cowling. Although we can't guarantee you will get the same speed increase that was achieved on the M20J, the reduced cooling drag around your engine should translate into improved performance for your Mooney. Our customers have reported speed increases of 3 to 7 knots. This nose cowl mod, with the larger M20J spinner, extended front cowling, and smaller air inlets, will give your Mooney the sleeker, more-streamlined appearance of the Mooney 201. The M20J cowling is about 2.5 inches longer and the spinner about 12% bigger in diameter than the earlier Mooneys. To install the longer M20J cowl without relocating the engine, the Mooney design team moved the base of the spinner forward to allow space for the cowling. This was accomplished by extending the rear spinner bulkhead and enlarging it to accept the larger M20J spinner. The ARI nose cowl is made of fiberglass and fits in the 2.5 inch space between the nose of your Pre-201 Mooney and the newly installed M20J two- or three-blade spinner, which is part of the kit. The nose cowl attaches to the existing metal cowling of your Mooney above the landing light and oil cooler. This mod also has a much smaller gap between the spinner and the nose of your Mooney, which creates a more streamlined flow of air and less drag over the nose of the aircraft. Some owners also reported a reduction in the noise level inside the cabin. Metal baffles are attached to the lower edges of the induction air inlets on each side of the spinner to force the incoming air directly into the engine compartment, which further reduces drag. Vented baffles are available for the M20E and M20F models to supply ram air to the muffler shroud for cabin heat on the left side and to supply ram air to the alternator/generator on the right side. The nose cowl kit comes complete and ready for installation with installation hardware and instructions. The kit is simple and straight-forward to install and should be well within the capabilities of any qualified A&P mechanic. The non-sandwiched installation of the kit should take about eight (8) hours, assuming no pre-adjustments or paint and airframe work. The installation begins with the removal of your existing spinner and rear bulkhead and the installation of the Mooney 201 two-blade or three-blade spinner assembly. This requires the removal and reinstallation of your aircraft propeller. Our sandwiched installation should take about twelve (12) hours to install. To install the standard Mooney M20J spinner on early Mooneys with two-blade McCauley propellers, about four (4) one-eighth (1/8) inch spinner shims must be installed between the starter ring gear and the spinner rear bulkhead. The ARI nose cowl was approved and certified independent of the Mooney 201 spinner assembly. Consequently, other FAA approved spinners which are compatible with the stock Mooney 201 cowling will also fit our nose cowl without further modification. The ARI nose cowl will be shipped with one of the following Mooney M20J spinners of your choice: (1) standard M20J factory 2-blade unpolished spinner (no longer available), (2) Hartzell A-2295-5 2-blade unpolished spinner, (3) Hartzell A-2295-5(P) 2-blade polished spinner, (4) Hartzell A-2295-4(P) 3-blade polished spinner, or (5) McCauley D-6504(P) 3-blade polished spinner. Permanent Installation. With the permanent installation, the ARI top cowl and bottom cowl are both riveted to the nose of your Mooney using cherrymax rivets. Permanent Top - Removable Bottom. With this installation, the top cowl is cherrymax riveted. The bottom cowl is installed with #6 rivnuts and machine screws. Removable Top - Permanent Bottom. The top cowl is installed with #6 rivnuts and machine screws. The bottom cowl is cherrymax riveted. Removable Installation. The top cowl and bottom cowl are both installed with #6 rivnuts and machine screws. Sandwiched Installation. This is similar to the Permanent Installation, except the trailing edges of the top and bottom cowls are sandwiched between the aluminum laps (joints) in the existing aircraft skin for a smoother installation. This installation required a new mold which added material to the edges of the top and bottom cowl sections so they could be extended between the aluminum lap joints near the front of the existing aircraft cowl. Other cosmetic changes were also made to improve the appearance of the installation. The permanent installation will allow you to use epoxy filler to make your nose cowl mod look like an integral part of your existing metal cowl. The sandwiched installation will accomplish the same objective without having to use epoxy filler. The removable installations will provide quicker access for engine and propeller maintenance. You must specify your installation option with your order, so we will know what installation hardware to ship with your kit. It is very important to Aero Resources, Inc. that you are totally satisfied with your ARI nose cowl mod. For this reason, we have devised a money-back satisfaction guarantee whereby you can check the fit and appearance of the nose cowl mod on your Mooney without damage to your airplane or the nose cowl parts. The plan works this way. After you have installed the M20J spinner on your Mooney, you may temporarily install the nose cowl using duct tape or any other adhesive tape that does not damage your airplane or the nose cowl parts. You must not drill any holes or install any fastners, except the ones used on the spinner, the cowl halves, and the baffles. If you are not satisfied with your kit, you may return it by following the instructions below. The warranty period ends thirty-seven (37) calendar days after the ship date shown on the shipping invoice. If you are not satisfied with the kit for any reason during the 30-day warranty period, you may return the parts for a full refund, excluding all shipping and handling costs. Seven (7) days are added to the warranty period to allow for shipping time. Our goal is to refund your money within ten (10) business days from the day the kit is received at our plant. This warranty is contingent on (1) you contacting Aero Resources, Inc. during the warranty period for shipping instructions, and (2) the parts being in undamaged and resaleable condition when received at our plant. In March, 1996, ARI obtained an STC to install a skin-mounted landing light lens cover on M20A through M20G Mooneys. This mod further reduces drag by covering the recessed area in front of the landing light housing on Pre-201 Mooneys. This mod is installed by drilling out the existing rivits in the landing light housing and installing the landing light lens cover between the aircraft skin and the landing light housing. Considering the benefits of improved appearance and performance the ARI nose cowl mods provide, you should be able to recover your nose cowl investment in the resale value of your Mooney. If you keep your Mooney and aviation fuel prices continue to escalate, you should recover much of your investment through performance improvements. Furthermore, if you take advantage of our Website Grand Opening Sale, which is going on right now, you will receive an even greater value! Click below for more information. In addition to payment by check or money order, we accept Mastercard, VISA, Discover, and American Express credit cards. After receiving your order, it will normally take thirty (30) to forty-five (45) days to assemble and ship the spinner and nose cowl to you if the spinner is not in stock. It takes about thirty days for the new spinner to be manufactured. 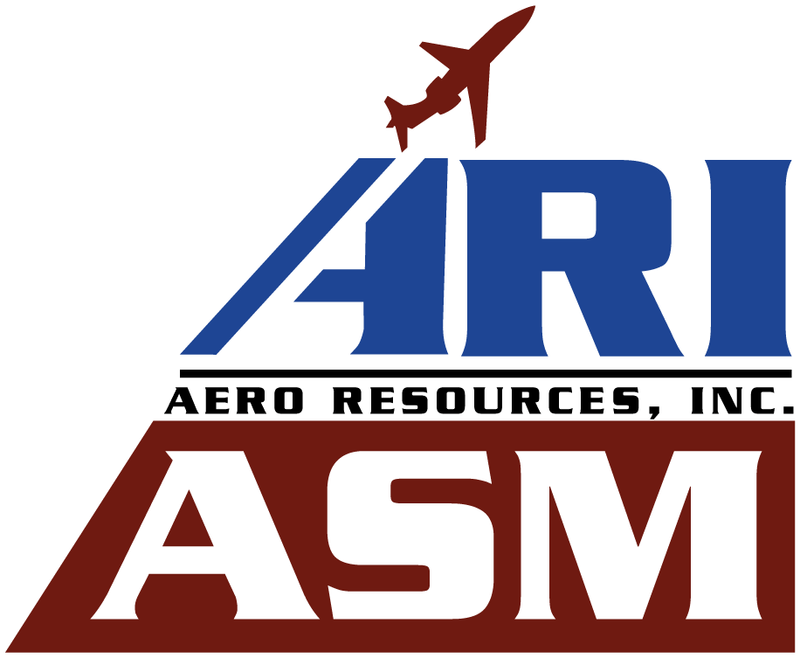 Aero Resources is authorized to ship kits to foreign countries and each foreign shipment will include an FAA Form 8130-3 Airworthiness Tag. There will be an additional charge for this Airworthiness Tag. The shipping costs for foreign shipments will be determined through direct contact with our customer after the order has been placed.